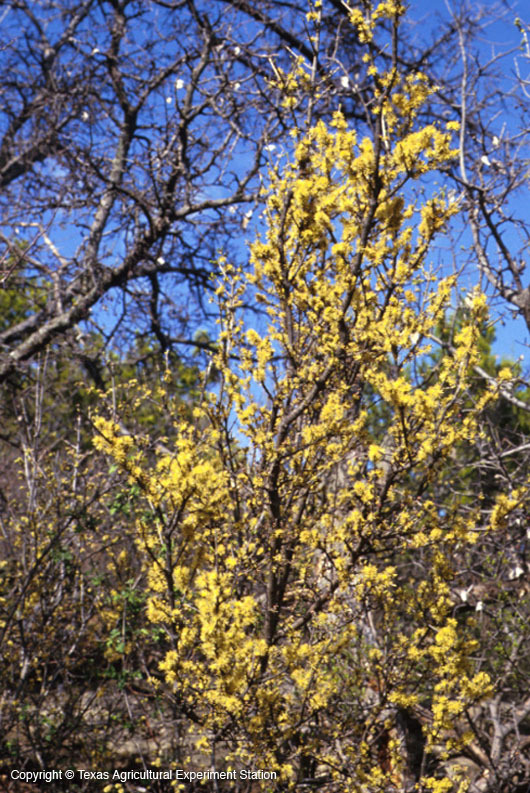 Texas elbow bush is often called "Spring Herald," because it is usually the first to bloom in the spring. Its delicate yellowish-green flowers appear in early February or March before the leaves, in the axils of the last year's leaves. It grows in North Central Texas to the Edwards Plateau and into the Trans-Pecos, in open pastures and thickets. It has an irregular growth habit, with drooping branches that often layer and form thickets. 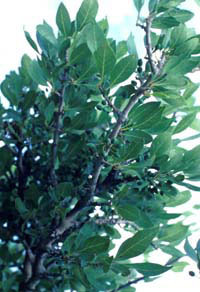 Its light green leaves provide an attractive contrast in the landscape, and are among the first to appear in the spring. 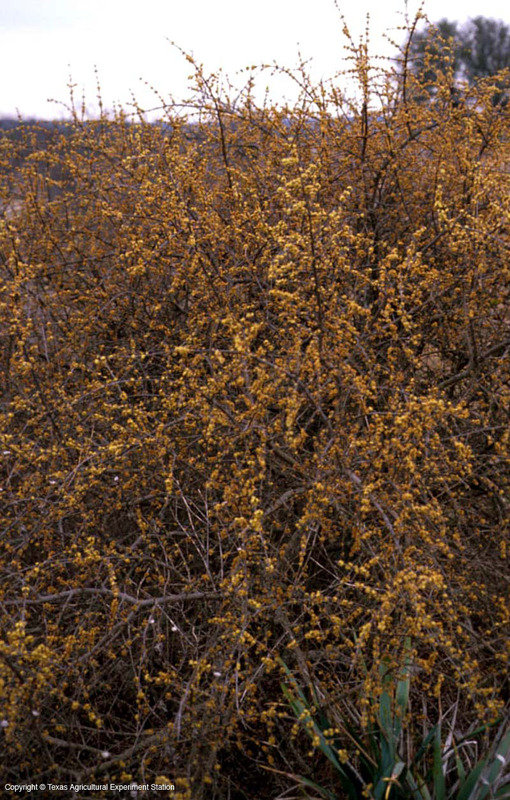 Texas elbow-bush can form an interesting background in a naturalistic landscape, and careful pruning will promote a denser shrub. Female plants produce fleshy, blue-black fruits that are an important food source for birds and small mammals.